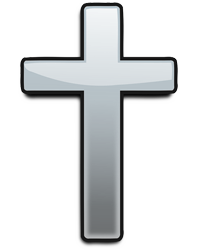 Robert L. Azbell 89 of Lancaster, Ohio died Friday, March 22, 2019 at the Pickering House. He was retired from Anchor Hocking Glass Corporation in the Shipping Department. He was a member of Word of Promise Family Church. Robert is survived by his daughters, Jeanne Cox of Grove City, Ohio and Kathi (Terry) Meyer of Lancaster, Ohio; grandchildren, Greg (Mary) Smith of Pataskala , Ohio, Chris Cox of Grove City, Ohio and Laura (Joel) McGuire of Lancaster, Ohio; great grandchildren, Ian, Jane and Leo McGuire and a nephew, Paul Harp. He was preceded in death by his wife, Myrtle “Myrna” B. Azbell, parents, Starling and Bessie Azbell, brother, Eugene Azbell, sister, Mariann Harp and Canine companion, Ginger. There will be no visitation or service observed. Burial will be in Forest Rose Cemetery. Arrangements are being handled by the FRANK E. SMITH FUNERAL HOME, LANCASTER, OHIO. Memorial gifts may be given to the Word of Promise Family Church, 350 Park St., Lancaster, Ohio 43130.